“An instant page-turner” (Lisa Gardner) that straddles the line between thriller and horror...“sure to appeal to a wide range of readers, including Stephen King fans” (Booklist, starred review). A young woman’s mysterious gift forces her into the middle of a dangerous investigation of a little girl's disappearance. Twenty-year-old Finley Montgomery is rarely alone. Visited by people whom others can’t see and haunted by prophetic dreams she has never been able to control or understand, Finley is terrified by the things that happen to her. When Finley’s abilities start to become too strong for her to handle—and even the roar of her motorcycle or another dazzling tattoo can’t drown out the voices—she turns to the only person she knows who can help her: her grandmother Eloise Montgomery, a renowned psychic living in The Hollows, New York. 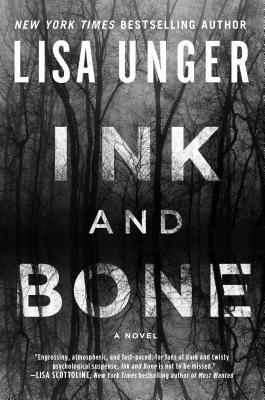 "This is as chilling a tale as any the ingenious Lisa Unger has ever come up with. I've still got shivers!" —Robert Masello, #1 Amazon bestselling author of The Einstein Prophecy.